Get FREE Shipping / No Service Charge* on today&apos;s order! * One year membership starts immediately with today&apos;s purchase, membership fee refundable within 30 days. Automatic one year renewal for $29.99 as an added convenience, cancellable at any time. Orders must be placed two or more business days ahead of delivery date. Offer subject to delivery rules. Florist Fulfilled items are generally available for delivery 7 days a week. Direct Ship products can only be sent within the continental United States. Click here for complete Terms and Conditions. Sign up TODAY to receive delicious savings on Cheryl’s Gluten Free cookies & brownies! A tasty box of cookies is automatically delivered to your door 12 times a year! Each delivery includes 12 individually wrapped cookies & brownies. 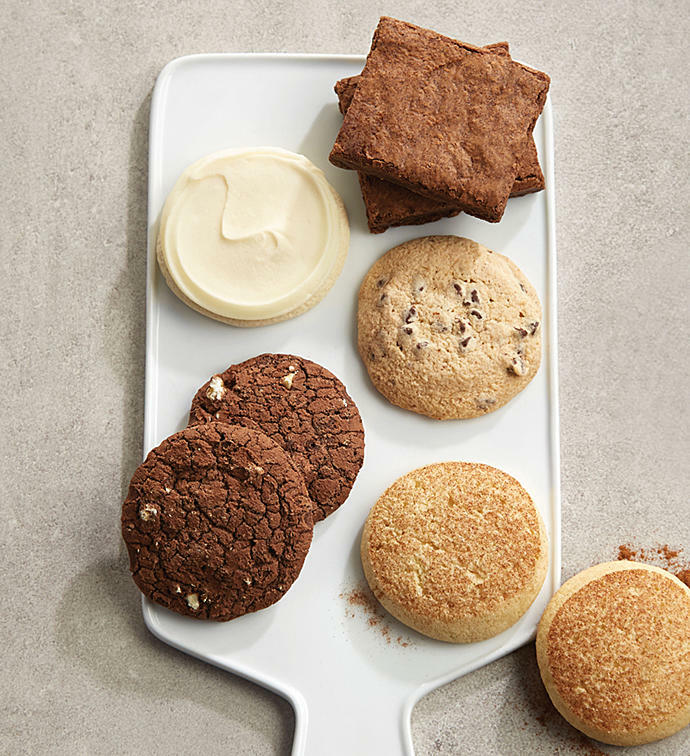 Each Month you will receive 4 Fudge Brownies, 2 Chocolate Chip Cookies, 2 Snickerdoodle Cookies, 2 Buttercream Frosted Cut-out Cookies and 2 Brownie Walnut Cookies. Our gluten free cookies and brownies are produced in a gluten free facility. Deliveries ship the 1st week of the month.